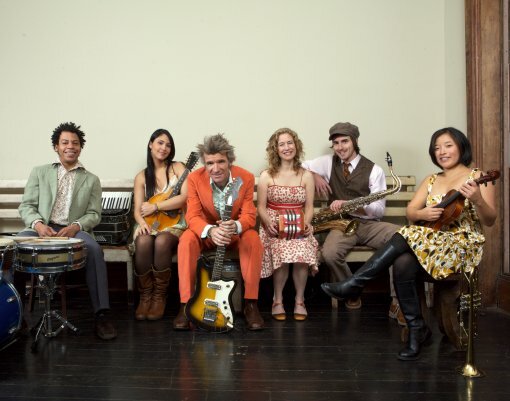 Hometown hero Dan Zanes is taking up residency at The New Victory Theater from December 19 through January 4 in support of his latest album Nueva York. To save 15% on tickets use code GCK803 when ordering tickets online or by phone, or print and present this coupon when purchasing tickets in person at the New Victory Theater Box Office. yeah, I noticed that she was missing from the poster outside the theater too. We’re big Barbara fans over here. She did sit in on a few songs with Rankin Don aka “Father Goose” over the summer at the Prospect Park band shell.